I will try to use several different resolutions with your settings because my screen is having 1920 x 1080 resolution so I don't know which resolution suits me better?! Your native resolution is always best to use if your computer can handle it. It sounds like 1920x1080 is your native resolution so if possible, you should use that one. mmmm not Grizzly, if you see Esport you can see, progamers never use high resolution and graphic option...That's for FPS, so native resolution is not always better then all. That's not because how it looks like, but it's because sometimes other settings are easier for differentiating pixels etc. Like Bart said, it depends what you want. If you want your game to look like Doom, but be able to gain every advantage known to man, people have tried that as well. If, however, you want your game to look good while you play higher settings are better. 4:3 Streched is used because you can see the E's larger, lowering General texture/effects quality other than Enemy models or key features is also a common pratice for ppl seeking to have the most "pro" expirience lol. Hello guys i'm ToS F4Lc0 and today i want report a player. We are playing in HOSP PARADISE and Funkeazz-Monkey is admin of this one. So inside the game he allowed Cheat Mode, he turn on the God Mode, and he begin to troll and kill everyone. I know that everyone can do the same thing couse it's open for all players that want, but it's annoying and don't respect players like me that want play a normal legit game. Especially inside the game, that's was not obvious for everyone players, someone don't understund what happend. And i think not every players know command about cheat in console, for this reason is unrespectable thing to do. I ask him why he do that and he begin to flame me. I guess this can be type of cheating same, despite he can allow when he want cheat mode. I make a short video about that, tell me if you agree whit me. I hope someone begin to talk about this admin, couse for my opinion is really idiot. I don't gonna play anymore on this server! Now I know what to do with such crybabies like you!!!!!!!!! 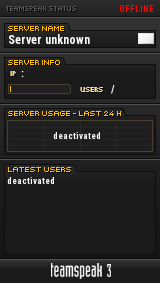 When I make such changes its for fun & its only fot couple rounds or so, and I advertise it in admin message cheat server enabled, and even type how to enable commands!!!!!!! It's not a good practice to do something like this, but the server still belongs to it's owners (presumably the admins) and they can do such things there if they choose so. Like you said yourself, if they keep doing it, nobody will want to play on their server anymore and that's the solution. You're probably not getting what I'm saying. Let's say you enable cheats. You do "mpcheat slomo 0.5". You then disable cheats. See how much fun this is. I'm not saying enabling cheats for a round or two is bad, I'm saying exploiting it is not nice. With that said, I don't know whether or not any of that happened. Do not keep quiet about anything,for all players.a first for me to play,before you a couple ...I think we understand..
For all future generations, never to be forgotten!! What are the most common editing you guys do when you bought a gaming mouse. I mean the normal editing i dont want to get "1 click = 6 shots" mode activated. I bought this Logitech's g402. i have no clue if this is a new model or 10 year old model.